A couple weeks ago we played around with Campari. This week we’re playing around with its cousin, Aperol. 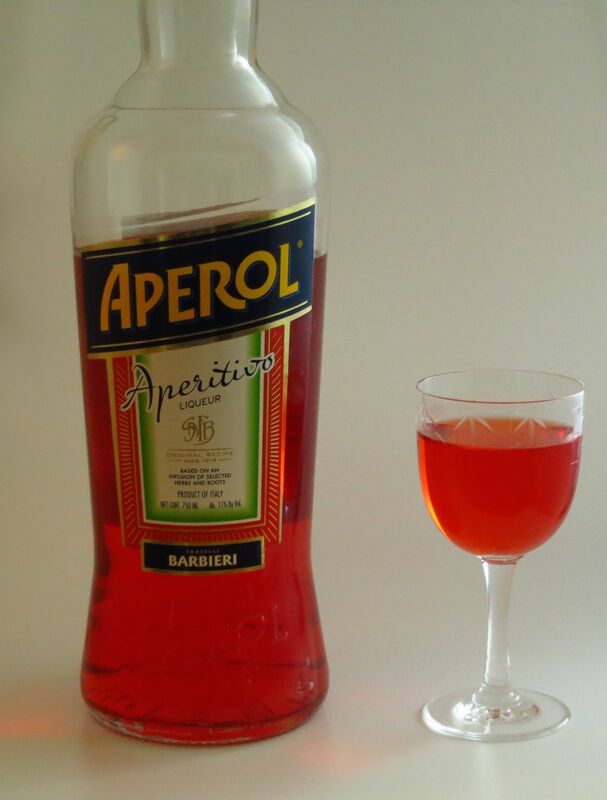 Much like Campari, Aperol is a bitter herbal Italian aperitif. That said, it has its own unique characteristics that make it another must-have in the bar, in our opinions. Read on to see what we make of it. First up, we taste Aperol on its own. Nose: Lots of bitter orange peel, like a Seville orange, with an underpinning of bitter green herbal like dandelion leaves. Hints of green bell pepper and fresh cut wood. Little bit of candied orange peel. Palate: Sweet orange and a hint of orange blossom on the front. Very bittersweet mid-palate with sharp green bitter notes along the lines of dandelion leaves, wormwood, and green bell pepper. Bitter notes continue into the finish accompanied by orange peel. Bitterness increases on the finish and lingers into the aftertaste. First up a classic Aperol cocktail, the Aperol Spritz. The original calls for added soda water to help balance out the sweetness. However we find that rebalancing by adding a bit more prosecco works just as well to balance things out without the added dilution. Pour Aperol into a sparkling wine glass. Add prosecco. Garnish with an orange wheel. Enjoy! Nose: Very bright orange in several layers – bitter, fresh and candied orange. Wine notes. Mineral notes. Palate: Intro is very sweet orange with a hint of bitterness. Mid-palate is slightly smoky grilled orange with wine and mineral notes. Finish is very bitter with green herbaceous notes. Shake all ingredients with ice. Strain into a glass. Garnish with a lemon twist. Cheers! Nose: Passionfruit, bright orange and lemon, sugar cane. Tiny bit of nutmeg. Palate: Passionfruit, sugar cane and raspberry jam to start. Passionfruit and bitter sweet orange and lemon with a hint of baking spices on the mid-palate. Interesting finish with herbal and citrus peel bitterness and some tartness from the passionfruit. Really nice, heavy mouth feel. Bitter aftertaste from the Aperol. Unlike Campari, larger amounts of Aperol are less likely to overwhelm the drink. It also adds strong, muli-layered orange notes. They’re about equally sweet, with the Campari having much stronger bitterness. 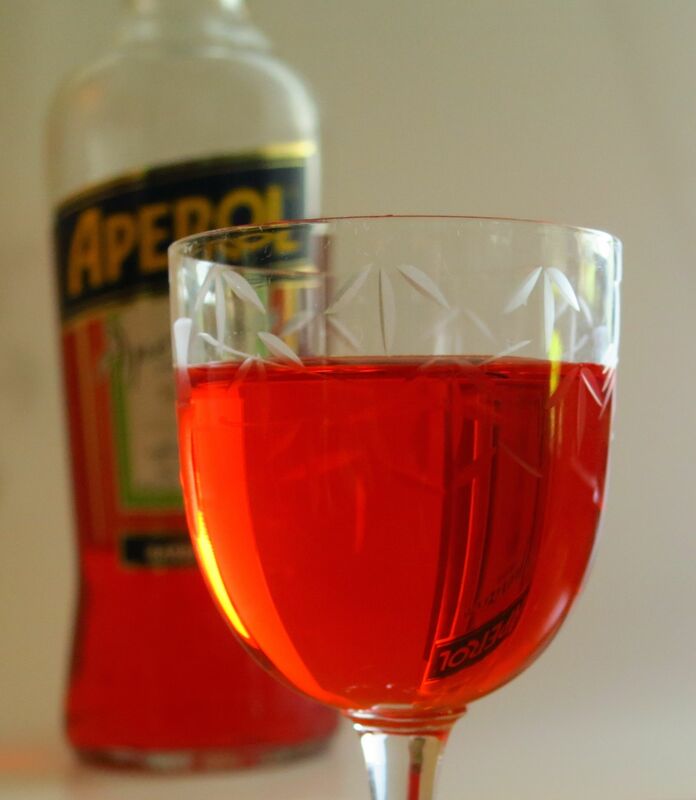 Altogether, we think Aperol is a more approachable introduction to the more bitter Italian aperitifs. It mixes beautifully, and we can’t imagine not having a bottle in the bar. 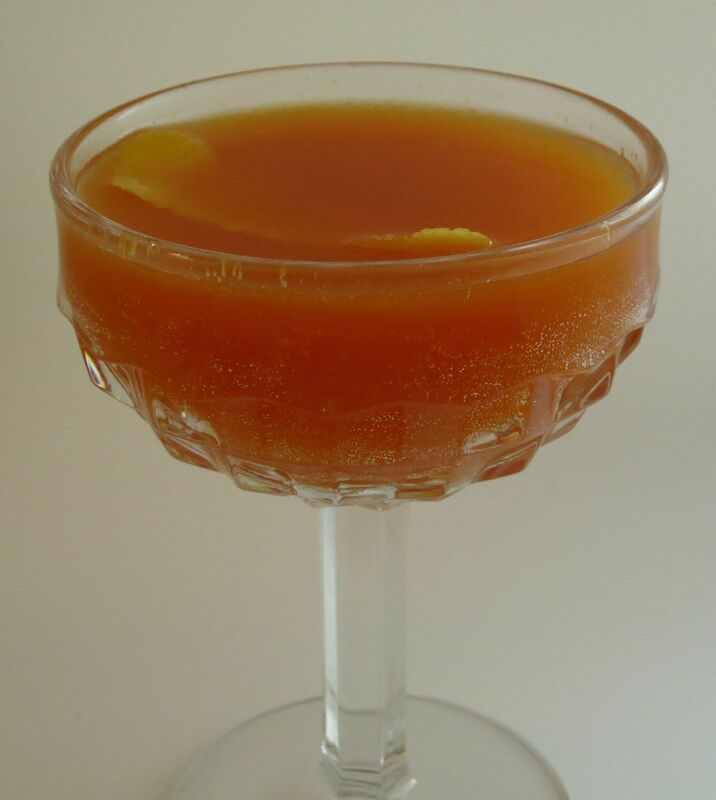 This entry was posted in aperol, passionfruit puree, sparkling wine, sweet vermouth, white rum and tagged Aperol, subgenius cocktail recipe. Bookmark the permalink.